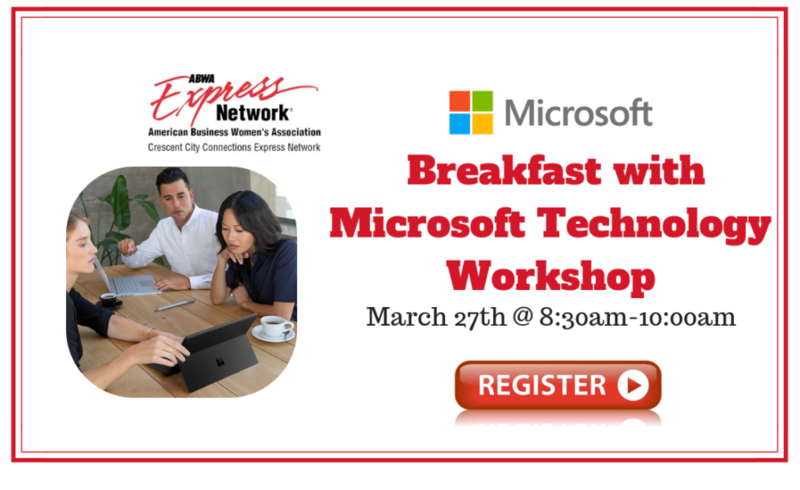 Come spend breakfast with Microsoft as we partner with ABWA during National Women’s Month! You’ll have the opportunity to learn about the latest technology to help you grow your business, while networking with powerful business women throughout the greater New Orleans area! We will have certified trainers providing workshops and demonstrations on cloud and business productivity tools such as Office 365, SharePoint, and Windows 10. Learn how to leverage LinkedIn to boost your professional brand and connect you with other influential leaders. We’ll provide door prizes, breakfast, and a photo booth where you can have your professional photo taken for your LinkedIn Profile.